Updated list of IABSE Fellows: Click Here! 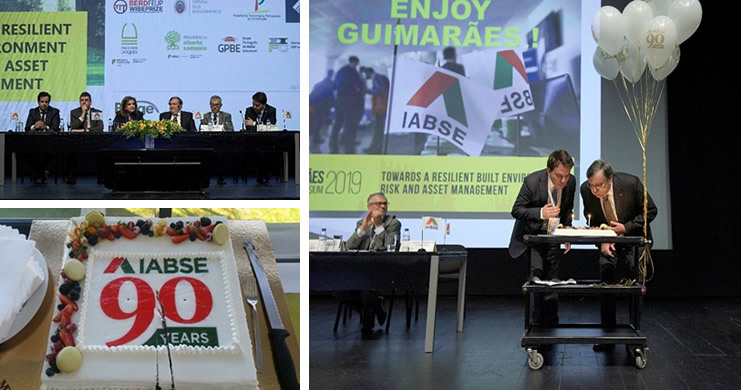 IABSE’s Guimaraes Symposium from 27-29 March, 2019; on ‘Towards a Resilient Built Environment Risk and Asset Management’ was a great success! The Symposium opened with IABSE’s 90th Anniversary celebration including balloons, slicing of cake and handover of IABSE flag to travel all the way to IABSE Congress in New York. The participants enjoyed the sessions, social events, and tours prepared by the organisers. The BERD-FEUP WIBE Prize Ceremony also took place at the same venue prior to the Symposium. Scroll down to see the photos and video of the event and information about the Conference Proceeding. Andreas Lampropoulos is highly involved in various activities of the Association. As an IABSE Member, he is the Chair of the Task Groups 1.1 and 5.5, Chair of the Outstanding Paper Award (SEI), and also co-author of SED 16. Watch his interview and hear what motivates him, and what knowledge you can gain and share if you join his Task Group. Scroll down, another video of him talking about his recently released SED 16. Task Group 5.5 (Video) on Conservation and Seismic Strengthening/Retrofitting of Existing Unreinforced Masonry Structures. 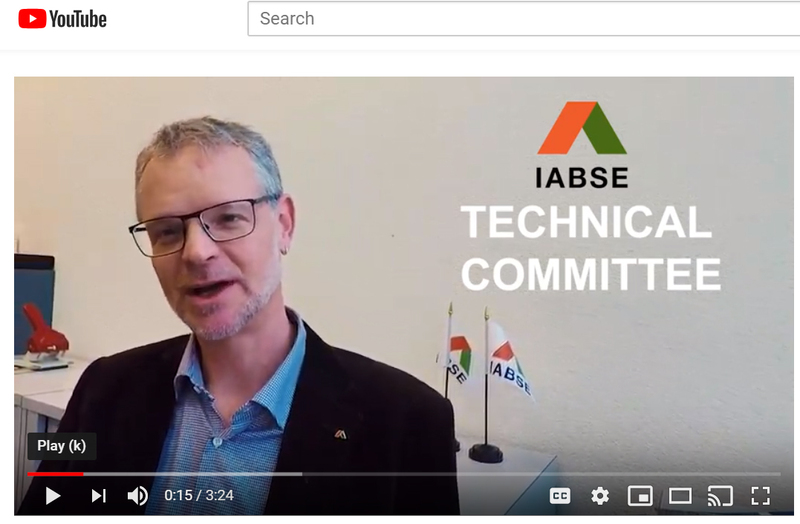 March 23, Zurich: The Technical Committee Meeting, chaired by Daia Zwicky, took place in IABSE Secretariat, last month and was attended by members from all around the world – Chairs of several Commissions, Boards, Committees and core members were present at the meeting. As a member of IABSE become active and see if you can contribute by joining any of the newly formed Task Groups! Daia Zwicky, Technical Committee, Chair; talks about the Commissions and Task Groups in a recent interview: Click Here! 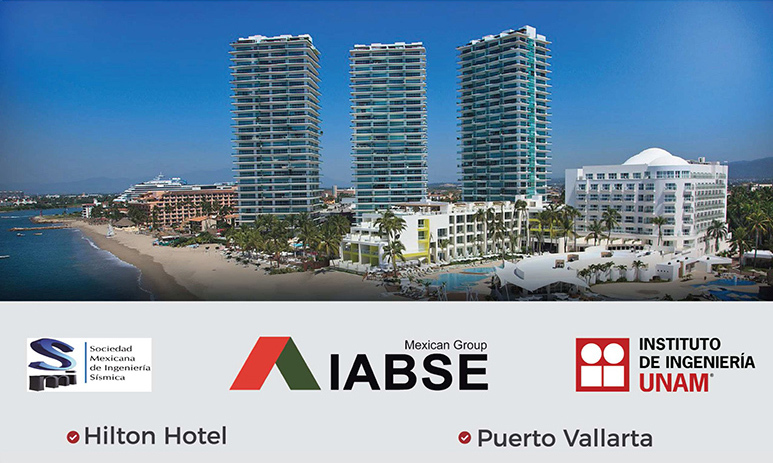 IABSE’s forthcoming Workshop in Mexico is gathering momentum. 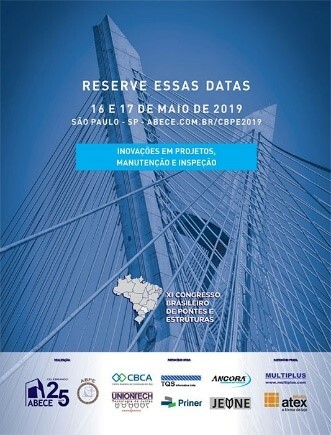 It is an exciting time to be part of Latin American and Mexican structural engineering discussions. 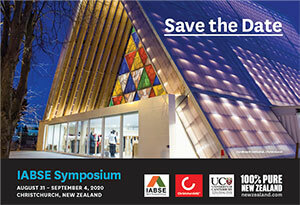 Be part of this IABSE Workshop and register! 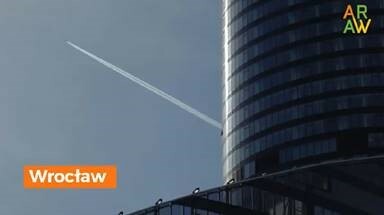 May 20-22, 2020: ‘Synergy of Culture and Civil Engineering – History and Challenges’, Wroclaw, Poland. Extended Deadline - Submit your Abstract by April 30, 2019Click Here! Watch the beautiful city of Wroclaw: Click Here! The IABSE Congress, celebrating the 90th Anniversary of IABSE, will take place in New York City on September 4 - 6, 2019. Watch out for the opening of abstract submission very soon! This special issue of Structural Engineering International is intended to showcase tunnels and underground structures – actual projects at design or construction stage, recently completed structures as well as new concepts. In line with the objective of the Journal, focus is on structural aspects, design, innovation, new materials, construction methods, monitoring, maintenance, upgrade of existing structures as well as sustainability. For complete description of this topic: Click Here! Andreas Lampropoulos, co-author describes the book in this video. Click Here! Order your Hardcopy from here:Click Here! 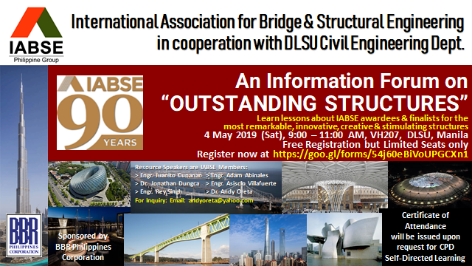 Information and Deadline: Nominations for Outstanding Structure Award (OStrAC) ! The Chair of OStrAC, Naeem Hussain, is encouraging for more entry submissions to this year’s Outstanding Structure Award nominations. It is critical that the nominated structure has been substantially completed in the year preceding the nomination. Deadline for submission to the respective National Group chairs isJune 30th every year. Interested parties are invited to review the Standing Orders for the complete guidelines prior to submission. 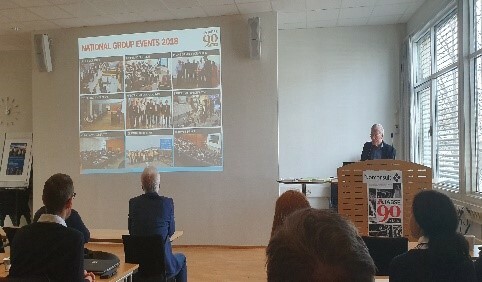 The Norwegian Group of IABSE organised its yearly spring seminar which attracted more than 70 people in the premises of the Head Office of Norconsult in Sandvika, Norway. The theme of the seminar was “We are looking forward, new materials, new methods”. Read the full report: Click Here! 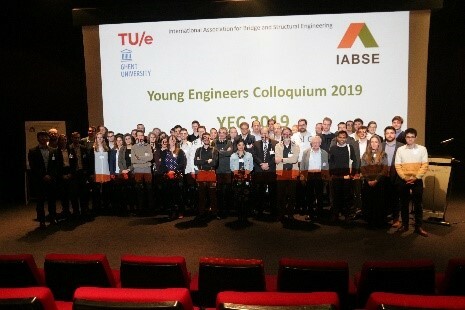 The Belgian and Dutch Groups of IABSE jointly organized the Young Engineers Colloquium 2019 (YEC2019) at Eindhoven University of Technology in The Netherlands. The event was sponsored by 14 Belgian and Dutch sponsors and attended by 64 participants. Read full report: Click Here! Similar to last year this year too there will be a seminar based on above topic at Breda on 13th June, The Netherlands. 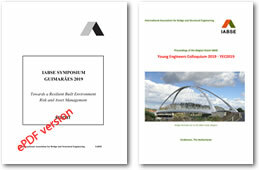 The Danish Group of IABSE has planned several events this month including the Danish Bridge and Tunnel Award (co-sponsored), a Students Day at the Technical University of Denmark (aimed at final year students) and a Study tour to Oslo with the aim to invite Nordic countries to visit Denmark; and a general assembly. Click Here! If you wish to take part contact Denmark, NG Chair, Tina Vejrum. We shall report in details about these events in our next Newsletter. The 2019 Annual Lecture will be given by Guy Nordenson – structural engineer and professor at Princeton University. IABSE’s Bangladesh National Group organised this Seminar at the Pan Pacific Sonargaon Hotel, Dhaka, last month. 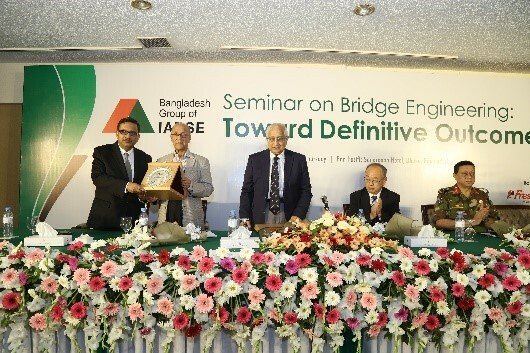 AFM Saiful Amin delivered the Keynote speech and during his presentation discussed about the construction of bridges over the Sitalakhya, the Meghna and the Gumti rivers and associated flyovers for the Dhaka-Chattogram Highway (N1). Bangladesh. The Spanish Group of IABSE is organising a Lecture by William Baker, Mark Sarkisian, Skidmore, Owing & Merill LLP in the University CEU San Pablo. Similar to last year’s successful National Conference, our Brazilian NG is back this year with another Conference planned for May. 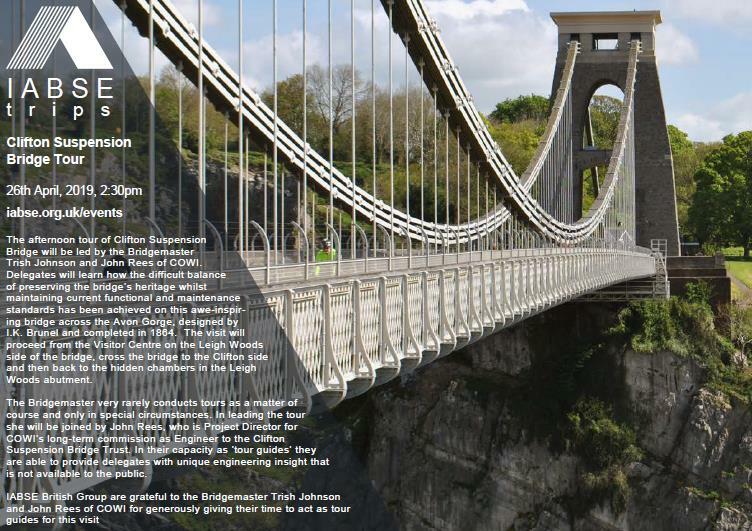 For further details please contact Brazilian NG Chair: S.Hampshire. After the success of the first U.S. conference in 2017, IABSE US NG, brings Future of Design to New York City for the second time this June 1, 2019. 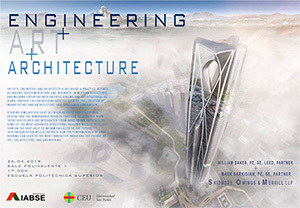 Join us at the Educational Alliance's Manny Cantor Center for an event dedicated to creative collaborations in architecture, engineering, construction and beyond. 2019 Calendar of Activities: Click Here! Please report on news from your country by month end for inclusion in next month’s Newsletter, website, Social Media and SEI. We shall update this Calendar based on your new activities planned regularly. We are happy to promote and assist you in your activities! Setting the Direction for Future Efforts of the JCSS – Chaired by Michael Faber. 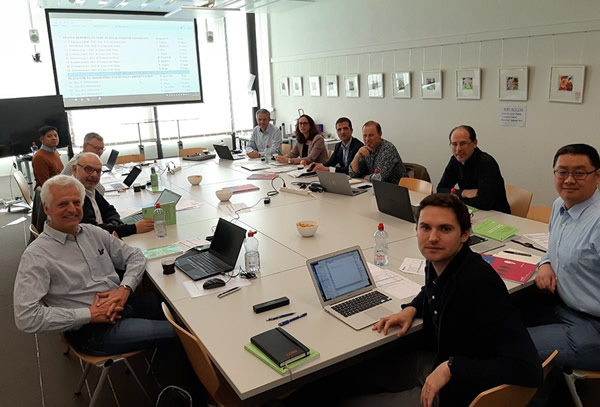 January 22, 2019: Joint Workshop of the Liaison Committee represented by Chep Uytiepo and Veronique Dehan and the members of Joint Committee on Structural Safety took place at TNO Bouw, The Netherlands. Read full report in forthcoming SEI May issue. 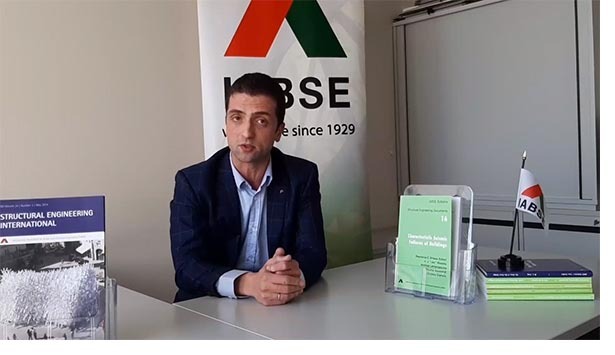 The BERD-FEUP – WIBE Prize Ceremony took place on last 26 March at Paço dos Duques, in the city of Guimarães with the presence of the President of the Portuguese Republic, Marcelo Rebelo de Sousa. 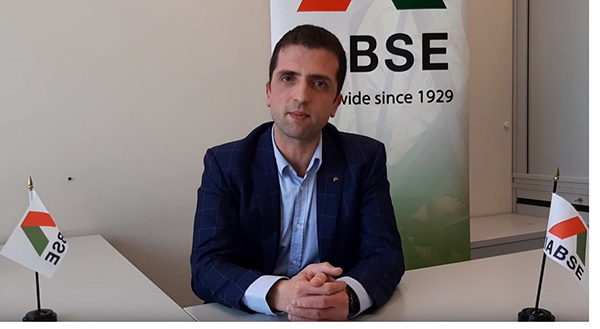 IABSE’s President Fernando Branco, Guimarães Symposium’s Organizing Committee Chair, Jose Matos and members were also present on stage during the Ceremony. 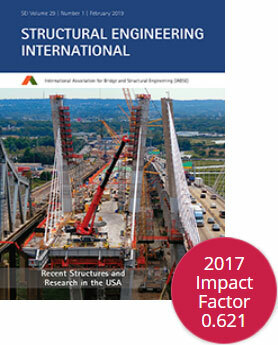 The “Novel bridge system for durable, low-cost and rapid construction” developed by the School of Civil Engineering of the University of Queensland in Australia was distinguished with the World Innovation in Bridge Engineering Award attributed by BERD and FEUP and won a prize money of 50.000$. The jury, composed of renowned engineers of the world’s most important entities in the field of Bridge Engineering, also distinguished two other projects and attributed with Merit Awards corresponding to the 2nd and 3rd place: the project developed by the University of Pisa, Italy, “The TVT & Rainbow bridge: a new technique for long-spanned highly transparent footbridges” and the Portuguese project, developed by Insti tuto Superior Técnico, University of Minho and Alto Perfis company, “São Silvestre footbridge: an innovative GFRP-SFRSCC hybrid structural system”, respectively. The award, attributed by a Jury made up of renowned Engineers from entities of the utmost importance in the world of Bridge Engineering, distinguishes the greatest contribution to innovation in this area on a global level. More than 20 thousand users from 146 nationalities took part in the Award, and applications were evaluated involving more than 200 authors from around 50 countries. General Call for Members - News! subscribed to our monthly newsletter.